Not everyone is a supermodel or looks like Chris Hemsworth in the film, Thor. Yet, we all, in our own ways, can look our very best. Think about when you dress up to go to a special event or party. You feel good – and that means attractive, wealthier and confident. Too often you can slip into a rut of wearing the same thing all the time. Or, maybe you don’t put our best foot or face forward except for special occasions. It’s easy to slip into the comfort zone to the point that it becomes a trap of not looking our best, or we appear dated. How you look, dress and care for yourself is part of your personal feng shui. It’s not just about kua numbers and the direction you look at work or where your head points in bed. It’s also simply about you. 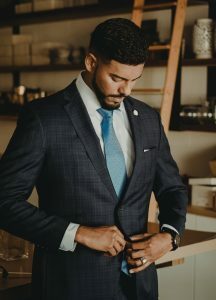 My husband would always say that when he was wearing a suit and went anywhere he got better service especially at department stores and restaurants. I’ve noticed that when I wear heels, makeup and my hair looks good and I’m smartly accessorized, I feel good and I get better service and attract more friendly people, positive reactions and things seem easier. 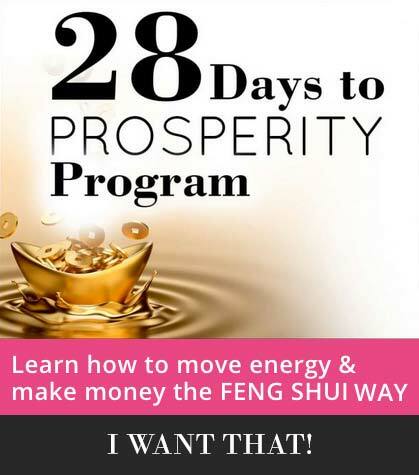 That’s a lot of the reason why you want to look and feel good; you want to make opportunities come to you and raise your personal energy so that you attract good fortune. Here are ways you can look and feel your best – and attract love, wealth and open doors in your life by lifting your personal chi. You don’t have to wear a suit and tie or an evening gown to dress smartly. Even shorts and a cute summer top can look great. Avoid the tendency to just throw on whatever you find in the closet. Be sure to accessorize, too. If you go out in jeans, dress them up with a cute top, jewelry or maybe a pair of heels instead of the usual sneaker. I always feel a bit more dressed up and smarter looking when I wear a dress. What makes you feel dressier or smarter looking? It’s easy to fall into the dark color trap. 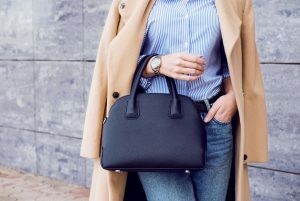 Dark colors hide stains, past bagels and waffles, but they can become a fashion pothole we fall into. Break out of the funeral color rut by adding bright colors to your wardrobe. This is especially important if you’re a single woman. Potential admirers are attracted to color and color makes you look more bright, radiant, fun and eye-catching! It also raises your energy. Be as fit at you can be. Again, you don’t have to be a model on the cover of an exercise magazine, just work on keeping your body healthy and as fit as you can. Wear clothes that show off your best features, too. Avoid clothes that are too tight, too loose, too baggy or that look worn and tired – because it will make you look too loose, too baggy, and worn out and tired! A touch of make-up, good skin care, and regular shaving and facials are one way to keep yourself looking good, fresh and vibrant. This includes your hair. Get a good haircut that flatters you and keep your hair nicely groomed. Your hair is your crowning glory, so keep your crown looking good. Let’s face it, we all at some time or another fight the battle of the bulge, but one way to keep yourself looking attractive is by wearing clothing that slenderizes and lengthens you. A terrific way is with a monochromatic outfit. This is especially helpful for petites. When you wear a solid color top and bottom, you appear taller. And, if you want to slenderize your appearance a bit, the monochrome helps with that as well. So does wearing one size larger if your current size is too snug. Of course, clothes that are ill fitting will also affect your appearance, so if pants are too baggy in the waist, see the tailor. Well-fitting clothes can make you look thinner and more slender. Whether it’s a work or a daily “uniform” you put on, look for ways to put a fresh spin on your daily dress. A bright scarf around your neck looks jaunty and instantly adds more verve to your style. Maybe you need some smart accessories, such as a chunky or colorful necklace or fun earrings. You don’t have to have expensive clothing to dress it up a bit and up-level your look. Even jeans can be spiffed up to look stylish and sophisticated. Warp speed your personal chi. One of the ways you get into ruts is by wearing your hair the same way, or when your clothes become a rubber stamp style. Maybe your makeup may be the area where you could use some freshening up on your style. Simply put: you look dated. If so, look for a stylist who can help make the most of your hair style, looks and clothing style. An afternoon spent working on a freshen up will do wonders for your personal chi! 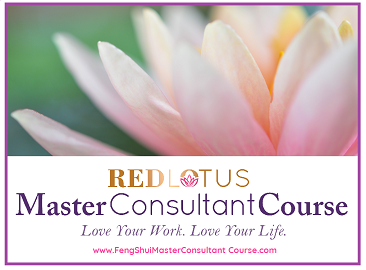 Your personal feng shui isn’t just about directions and colors – it’s also simply about you and how you present yourself in the world. Make it the best you can.